Runnababez Welcomes Amy Marxkors to the Team! Runnababez is excited to welcome & announce new team-mate Amy Marxkors! Amy is a St. Louis native, one of the top marathoners in the St. Louis area, and also Author of the running novel, the “Lola Papers.” We are excited to train & laugh with Amy on her & (our) running adventures and her soon to be PRS ! 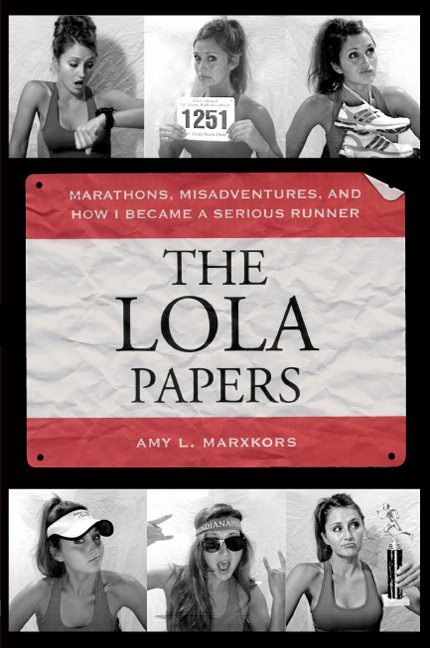 Amy Marxkors is a professional writer, and running “natural.” Amy is the author of the LOLA PAPERS, a witty running adventures novel. Amy is also a Fleet Feet columnist favorite among St. Louisan’s and a friend to many in the running community. Amy comes to running via ice-hockey… Yes, ice hockey. She played it all through high-school and into college. It wasn’t until later, she discovered running as a way to increase fitness for hockey, and fell in love with running as her new pick of passion. Amy brings into running her determination, strength, and zest for life! Amy has run & placed in the top 10 women at numerous marathons over the past few years across the midwest ,and is currently working on her 2nd novel, a biography about local St. Louisan, Ironman, cancer battle heroine Teri Greige. Amy can motivate any runner from the beginner to the advanced with her writing, and even more so by her upbeat and strong character. Amy brings depth to the Runnababez team with her marathoning experience, and will be fun. fast. and fabulous, no matter what distance she chooses to focus on.